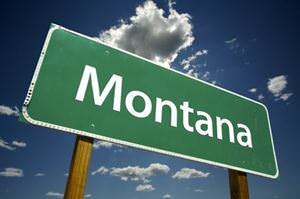 Need to pass the Montana permit test but don’t know where to start? Follow this step-by-step guide to learn how to prepare for the test and become familiar with the process from getting your permit to license. Similar to most other states, Montana uses a Graduated Driver’s License Program (GDL) to help prepare young drivers for the road. The GDL is a multi-step process that gives you time to learn the rules of driving while still remaining under supervision. GDL programs were enacted in most states after they were shown to reduce traffic accidents due to young and inexperienced drivers. In this article, we will walk you through each stage of the process and teach you how to pass the Montana permit test so you can go on to earn your full license. When you are 16 years old, you can apply for a Learner’s License (or learner’s permit) in the state of Montana. If you want to take an approved driver’s education course, you can apply for a Traffic Education Learner’s Permit at age 14 and a half, but that permit will expire when your course is completed. You will have to apply again for a regular Learner’s License at age 16. Getting a permit in Montana means passing a written test (or permit test), which will determine how well you have learned driving rules and traffic signs. Don’t show up to take the test unprepared, or you might fail. Instead, take advantage of our free copy of the Montana Driver’s Handbook, reading all the information and devoting extra time to any chapters you have difficulty understanding. If you would like a physical copy of the handbook, visit the local offices of the Montana Department of Justice Motor Vehicle Division (MVD) to ask for one. Practice testing is a great way to prepare for the real exam. Our Montana practice permit test includes most of the subject matter you will find on the test, and after passing it a few times, you will know you are ready. Proof of identity (a U.S. passport, birth certificate or citizenship documents). Proof of Montana residency (utility bills, employment records or school records). Take your time on the permit test and do your best to concentrate. You’ve studied hard for this, and as long as you remain relaxed, you are sure to do well. After you pass, you will be given a vision exam to make sure you can see well enough to drive. If you wear glasses or contact lenses, make sure you have them with you. To move on to the next step in the process, you will need to log 40 hours of daytime practice driving and 10 hours of practice after dark. If your parents can’t supervise you during this practice, a licensed driver age 18 or older who has been approved by your parents must join you. A signed Graduated Driver Licensing Parent/Legal Guardian Certification. Proof of identity, residency and legal presence. Note: If, within the past six months of holding your permit, you received any traffic violations or alcohol-related convictions, you will not be able to take your driving test. Unless accompanied by a supervising driver, you can’t drive between 11 p.m. and 5 a.m. There is an exception for driving to and from work or school. For the first six months, you can’t drive with more than one unrelated passenger under the age of 18. For the second six months, you can’t have more than three unrelated passengers under the age of 18. When you are 18 years old, all of the restrictions will be removed from your license. Congratulations! You are now a fully licensed driver. The written permit test includes 33 multiple-choice questions. You must answer at least 27 correctly to pass. The driving test will last approximately 20 minutes and will most likely include a parallel-parking test, so make sure you are aware of how to properly parallel park before you begin.